Brent continued the rally it initiated last week to end this week at the highest price since last December. Commodities rallied accross the board, with metals such as zinc, copper and gold leading the charge. 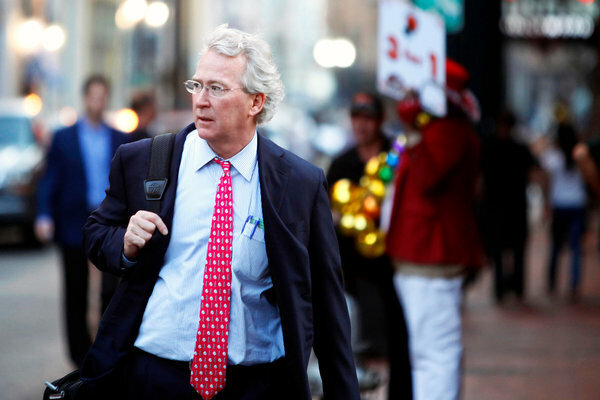 The big news of the week however, was the death of Chesapeake founder Aubrey McClendon. The iconic company that lead the rush to source rock fossil fuels is now headless, and just one day after McClendon was indicted in a case of land leasing manipulation. Rumours have been around since the begining of February of an imminient bankruptcy of Chesapeake. The company has reassured investors that it can repay about 500 million dollars in bonds due throughout March, using available cash and further credit instruments. However, the company is also struggling to meet short term collateral requirements consequence of the recent downgrades imposed by the almighty rating agencies. Chesapeake was already forced to come up with 200 million dollars in cash the past few weeks, and could soon be asked for an additional 700 million dollars. It is against this financial and judicial backdrop that McClendown dies, in what is increasingly perceived as a suicide act. This is perhaps a good example of what Ugo Bardi terms the Seneca Cliff. U.S. shale producer Chesapeake Energy Corp on Thursday said debt downgrades from ratings agencies in December have its counterparties including pipeline companies asking for collateral as the downturn in crude prices lingers. [...] As of Feb. 24, Chesapeake said it had received requests to post about $220 million in collateral, of which it posted approximately $92 million in the form of cash and letters of credit. Chesapeake, which is also the second largest U.S. producer of natural gas, said it may be required to post additional collateral of $698 million, something that would negatively affect liquidity, according to the filing. While the media focus on McClendon's legacy and reckless practices it is far more important to understand the troubles with Chesapeake as the beginning of the end for the so called "shale revolution". U.S. oil drillers are finally beginning to buckle. For more than a year, American oil producers found a way to keep pumping despite a worldwide slide in crude prices. Like cartoon character Wile E. Coyote, U.S. drillers dashed off the cliff and somehow kept running in midair, maintaining volumes even as revenue plummeted. The companies’ latest projections, released in earnings reports in recent days, suggest gravity is finally taking hold. Beyond the much advertised "shale" industry, there are various countries lingering over this depressed market. Short term, Venezuela seems an obvious casualty, with defaults almost guaranteed throughout this year, perhaps even on sovereign obligations. These are not big figures though, which should not shake internacional bond markets. As Venezuela grows closer to exhausting nearly every means of paying its debt, some oil market participants are seriously pondering the possible implications of an unprecedented event: the default of a major crude producing company. In a country like Mexico it is a whole different story, with tens of G$ on the line. For now it seems the government will be able to shore these losses and keep Pemex afloat. Pemex, Mexico’s state-owned energy company, saw its net loss last year almost double to 522bn pesos ($30.3bn) amid what its chief executive calls a liquidity crunch because of the oil price collapse. Pemex’s financial performance was also hit by a 17 per cent depreciation in the peso against the dollar last year. Oil production averaged 2.267m barrels per day, 6.7 per cent down on 2014, while total sales dropped more than 28 per cent to 1.17tn pesos. Gross income plummeted 82 per cent to 137bn pesos. Mexico is not only struggling with a depressed petroleum market, it is trying to adapt to the terminal decline of its petroleum resource. With the masssive Cantarell complex past its prime, there is only on direction to go: down. Petroleum prices simply determine how fast the decline will be. If Pemex were an ordinary company, not a pillar of the federal budget, the answer would be yes: at the end of the third quarter of 2015, Pemex reported total assets of $126bn, outstripped by $191bn in liabilities. It has long-term debt of $76bn and $90.5bn in pension liabilities and new chief executive José Antonio González Anaya says its debts are “unsustainable”. Amid price falls, total sales fell nearly 25 per cent in the third quarter and Pemex tumbled $10bn into the red. Though production has fallen 33 per cent since its 2004 peak, Pemex still has to keep paying huge taxes — nearly $6bn in the third quarter. But the triple hit of lower production, lower prices and a weaker peso had wiped out profits even at a pre-tax level in the third quarter. “I don’t think the tax issue fully explains why things are so bad,” said Marco Oviedo at Barclays in Mexico City. Across the Atlantic the predicament is not very different. All three major African petroleum exporters seem past their peak: Algeria, Nigeria and Angola. And all three countries are set to undergo great economic hardship in consequence. Angola has other trumps up its sleeve, if the country musters the political stability to wisely exploit other natural resources. African crude oil exports will fall by 600,000 b/d over the next six years as production from its biggest producers slips and rising regional refinery activity absorbs more domestic output, the International Energy Agency said February 22. Africa will observe the steepest absolute decline by a major crude exporting region, with regional crude production set to decline by 400,000 b/d mainly due to fall in output in Nigeria, Algeria and Angola, according to the IEA's Medium-Term Oil Market Report. [...] Algeria is expected to post the biggest loss in crude production in Africa and in OPEC over the six year forecast period because exploration and development of new Algerian oil fields has ground to a halt. IEA said that Algeria's oil production will fall by 170,000 b/d to 990,000 b/d in 2021 as a lack of investment pushes aging oil fields into decline. Other petroleum regions face similar declines, even if not with the same economic consequences. 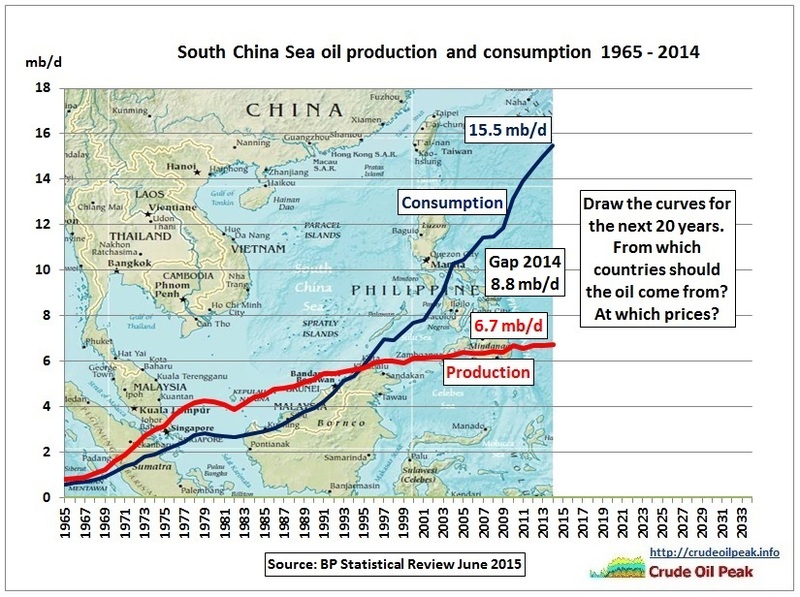 Note here how consumption in this region seems pretty much undisturbed. While largely missing in front pages these days, the war in Iraq rages on. After retaking Ramadi, the Shiite army is getting ready for an assualt on Fallujah. Without further external commitment, this war will drag for long, leaving behind nothing but shambles. This is the reason why Iraq remains the country of the world with the most uncertain petroleum outlook. A technical note to end this review. I have been blocked from various American websites, on the grounds that I use advertisement blocking software, something I have not used in years. In a discussion at Google+ other users complained of the same, while others claim they can still access content in these websites while using this kind of software. One of the website from which I have been blocked is Forbes, that has featured occasionally in this review. References to Forbes are therefore suspended until this issue is solved.